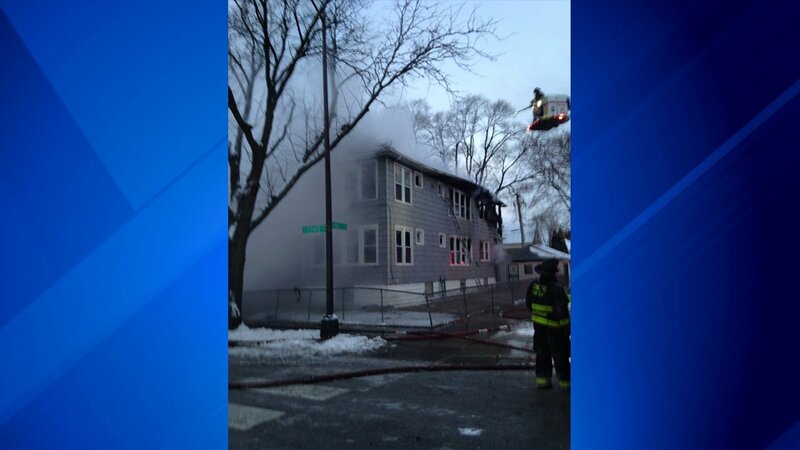 CHICAGO (WLS) -- Firefighters battled zero-degree wind chills Monday morning after a fire in a two-and-a-half story apartment building in the Roseland neighborhood. The freezing temperatures weren't the only problem for firefighters. Frozen fire hydrants also hurt their efforts to put out the massive blaze. It wasn't the sound of Santa's sleigh that woke up residents in the apartment on 104th and State streets, it was the sound of flames and overpowering presence of thick black smoke. Fire crews immediately upgraded the fire to two alarms when they arrived on the scene because they ran into a major problem. "We ran into three frozen hydrants due to the weather," said Chicago Fire District Chief of Special Operations Tim Walsh. Companies from three more battalions were called in and emergency vehicles surrounded the apartment from all sides. Eventually, they found a water source. "They were able to obtain water on either side of the block and down the block and we were able to gain a handle on the fire," Walsh said. The fire was struck around 7:04 a.m. Twelve people have been displaced by the fire. Walsh said three people were injured, with two refusing transport and a third transported to a hospital in good condition. The fire also damaged a nearby home. The American Red Cross is assisting the families displaced on Christmas Day. The source of the fire remains under investigation.